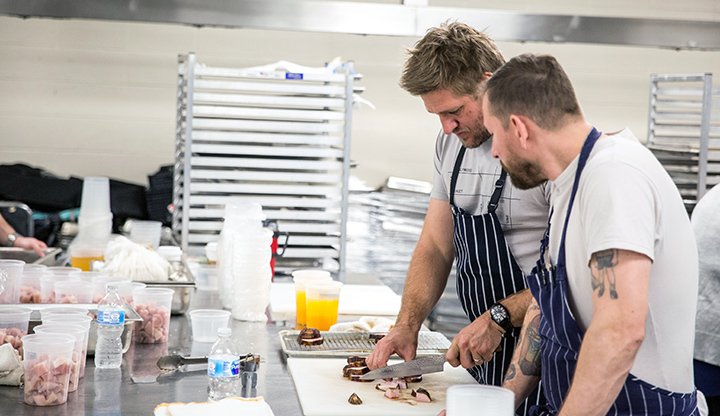 It was a wonderful progression of “asks” from the Curtis Stone Events team, beginning in August 2018 when I first met with Chef Stone’s Director of Events, Morgan Smith. 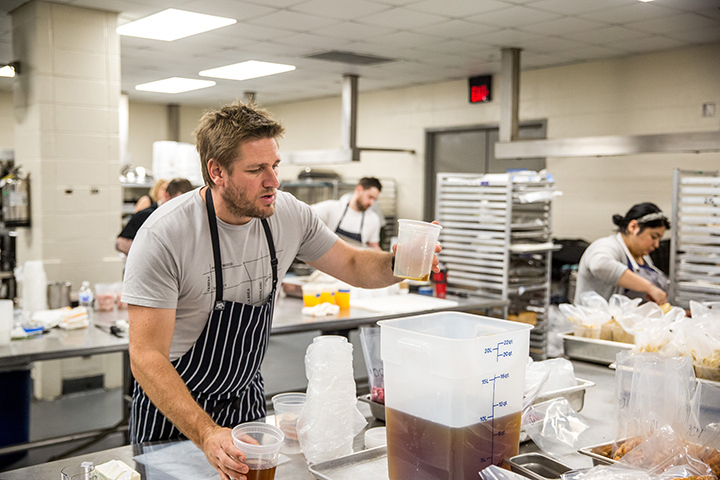 Renowned chef Curtis Stone had recently opened a catering company, Curtis Stone Events, an offshoot of his very successful restaurant business. He was hoping to raise awareness of his endeavor. 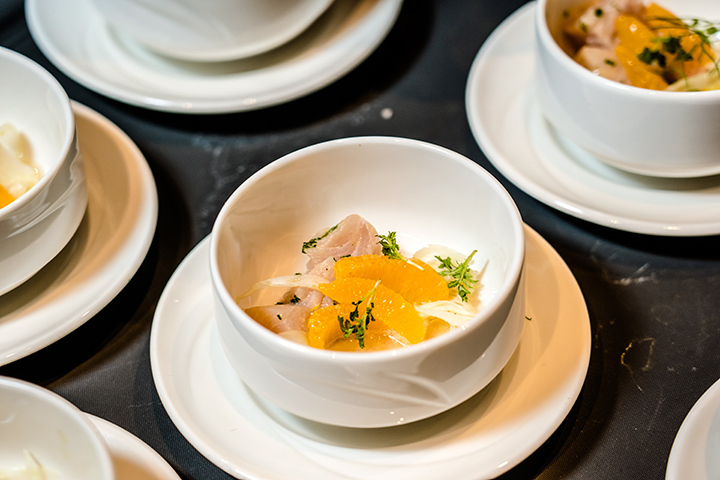 The first ask: How could Chef Stone involve himself in Catersource’s conference in 2019? Morgan and I talked about a speaking appearance, which evolved into a Q&A lunchtime session. Great! A few weeks later the next ask: But what else could the Stone team be involved in? 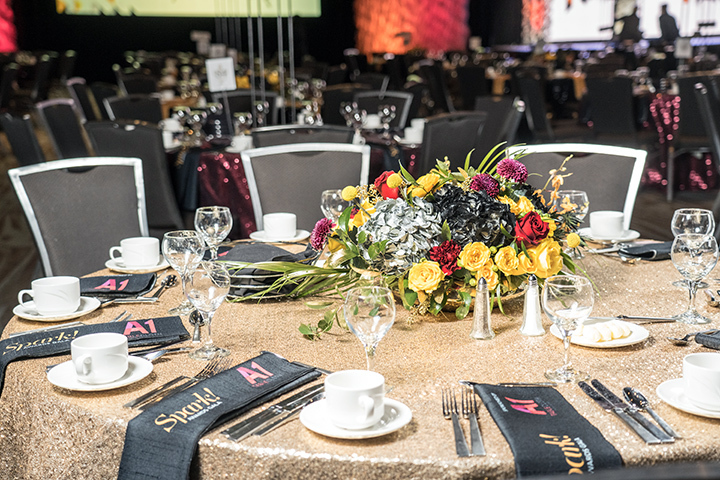 Talk evolved to the Spark Awards Gala menu being curated by the chef. Fantastic! Little by little, it all came together. 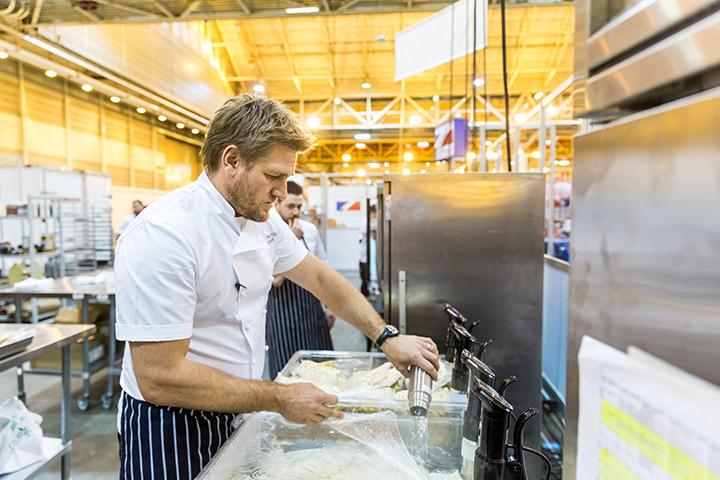 Conversations between the Centerplate team in New Orleans and the California-based Curtis Stone Events team were next, and then a tasting in December 2018 on site firmed up the menu. 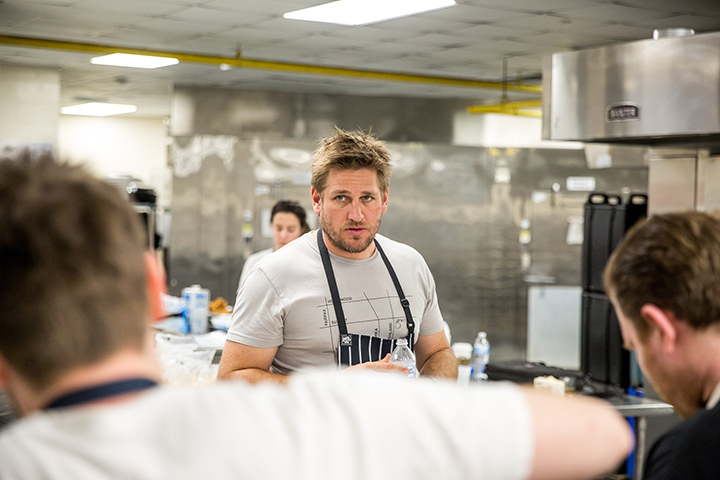 The Curtis Stone Events team arrived four days prior to the big event to start prep work, and Chef Stone was in the house the day before. 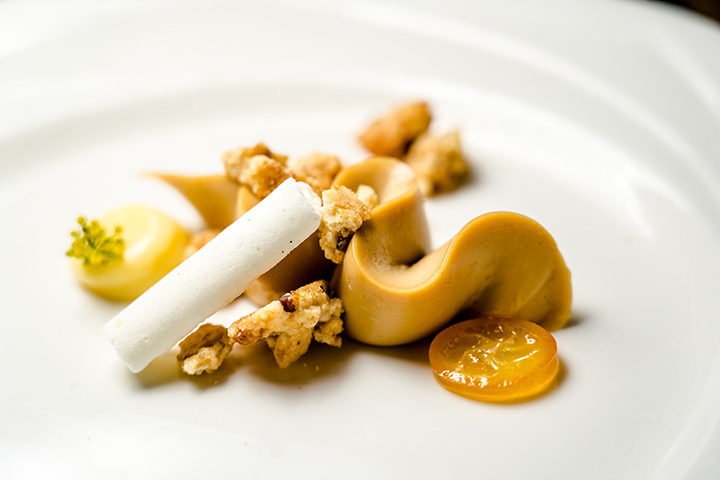 Watch the slideshow, enjoy a still pictorial with a couple of added images—or both! Your choice! 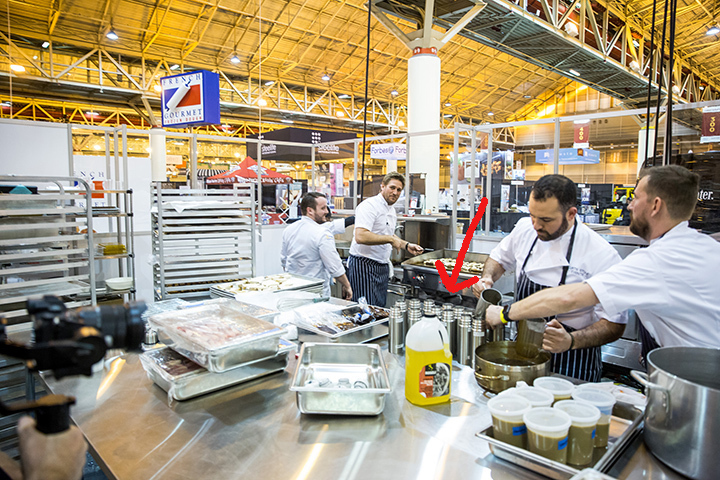 Chef Stone and his team worked initially in a nearby kitchen located within the convention center. 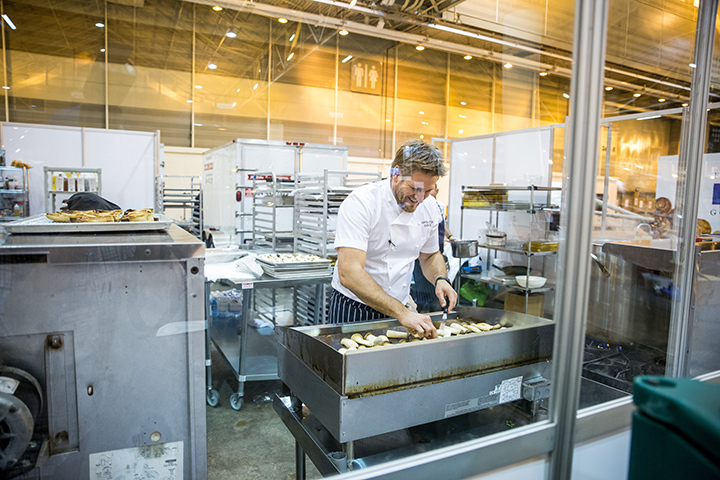 Operations on the afternoon of the event moved to the pop up Art of Catering Food commissary we had built on the tradeshow floor—which was also adjacent to the Great Hall ballroom. Note the small stainless steel thermos bottles in the photo. This was a genius move to keep the madeira sauce piping hot right up to the point that it was drizzled onto the plate. 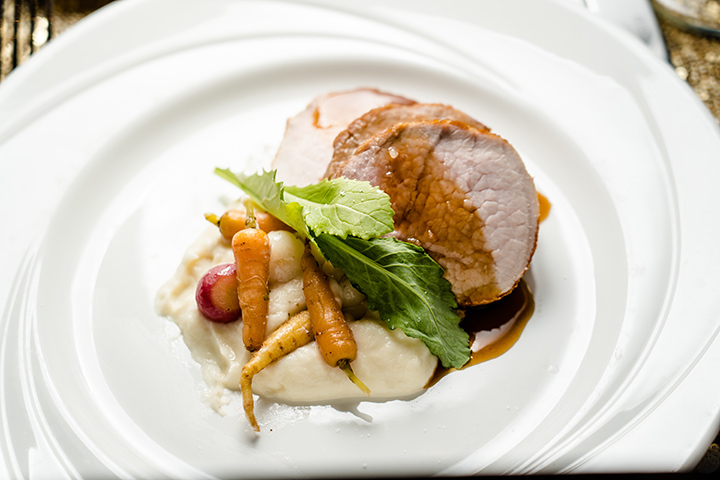 Plating took place in Ballroom D, located directly behind stage. 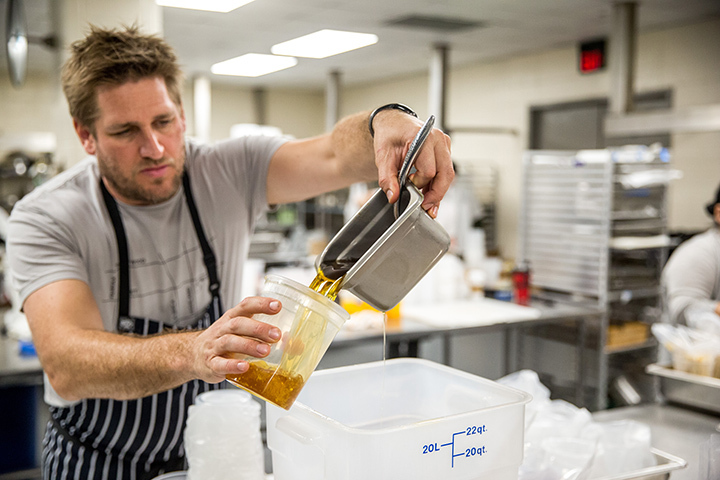 Here, Chef Stone works on desserts. 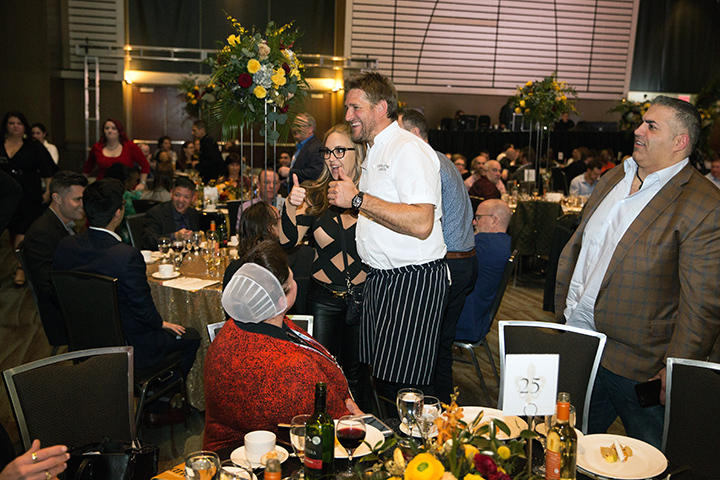 When the going gets tough...the emcees put on aprons or chef coats and help plate! Here, Ken Barrett-Sweet and Kathleen Stoehr pause for a photo after the fun of plating the second and third courses. And not a drop of turnip puree on my gown or his tux! 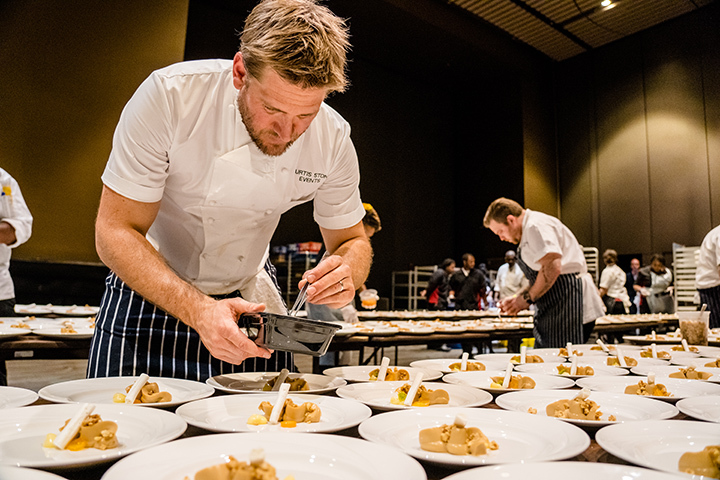 At the end of the event, Chef Stone and his team delivered desserts to those in attendance and then paused for photo ops.